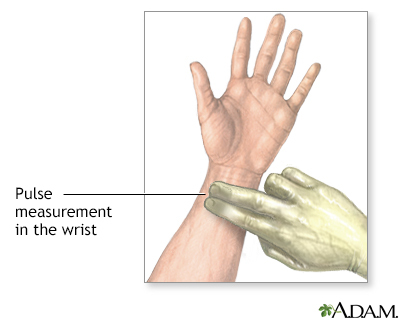 To measure the pulse at the wrist, place the index and middle finger over the underside of the opposite wrist, below the base of the thumb. 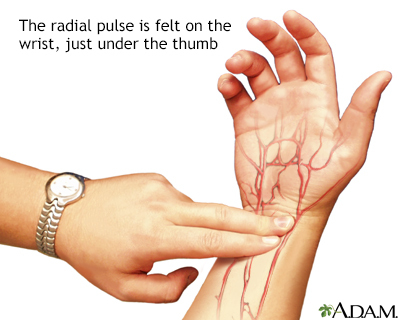 Press firmly with flat fingers until you feel the pulse in the radial artery. 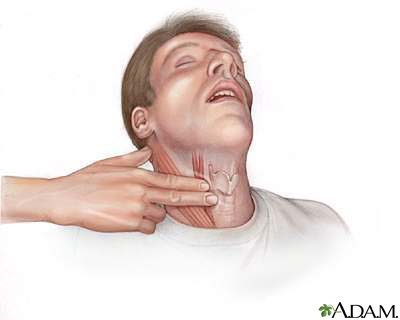 To measure the pulse on the neck, place the index and middle finger just to the side of the Adam's apple, in the soft hollow area. 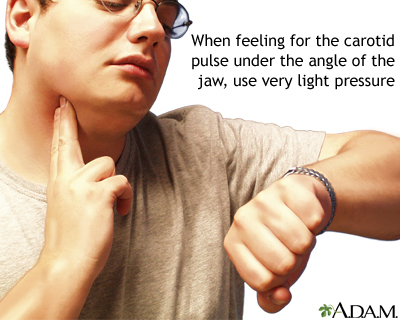 This pulse is felt in the common carotid artery. How to take your pulse. 1. 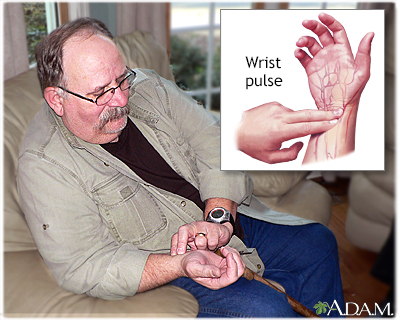 Place the tips of your index and middle finger on the inside of your wrist below the base of your thumb. 2. Press lightly. You will feel the blood pulsing beneath your fingers. 3. Use a watch or clock with a second hand. Count the beats you feel for 1 minute. Or count the beats for 30 seconds and multiply by 2. This is also called your pulse rate.